1. Arrange tofu in a rectangular container. In another container, combine nutritional yeast flakes and chili flakes. Set aside. 2. Marinade. Combine bragg liquid aminos soy sauce, lemon juice, garlic, and bay leaves together. 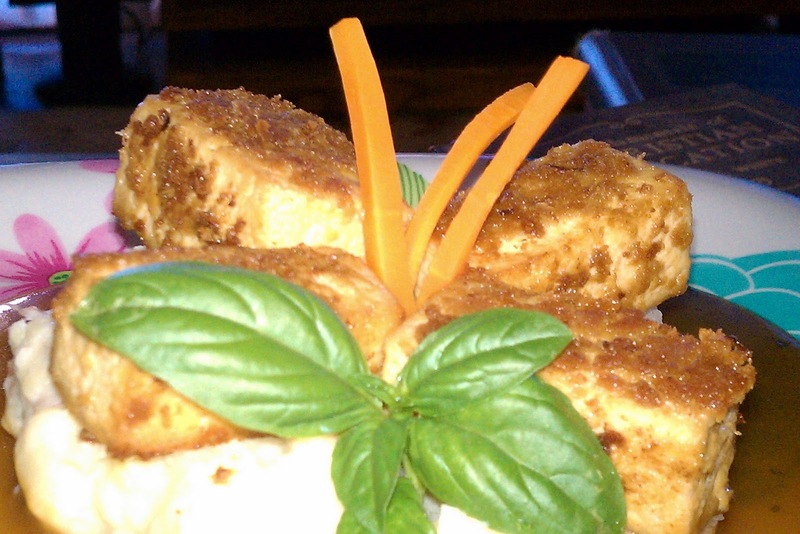 Pour over tofu and let it marinate in the refrigerator for 20-30 minutes. 3. In a large skillet, heat the oil over medium high heat. Remove the tofu from the marinade and dredge in the brewer's yeast mixture until evenly coated. 4. Fry tofu in the hot oil for about 2-3 minutes each side, or until golden brown. Serves 4. Note: This is also good deep fried or baked.